Consider April 15 to be the day your life is going to get a whole lot better. Tim Hortons will start offering baked goods that feature Nutella as well as offer it as a spread for bagels. When it comes to doughnuts, we typically stick to the saying, “If it ain’t broke, don’t fix it.” However, Nutella makes everything better, and this sounds like a match made in heaven. The best breakfast sandwich ever. Who wants a cinnamon roll when you can have a Nutella roll? If Nutella pizza is wrong, we don’t want to be right. You’ll never want cookies any other way again. We’d wake up early just for this. Chocolate quesadilla has a nice ring to it. A new way to do Taco Tuesday. Watch out, poutine. You have some competition. 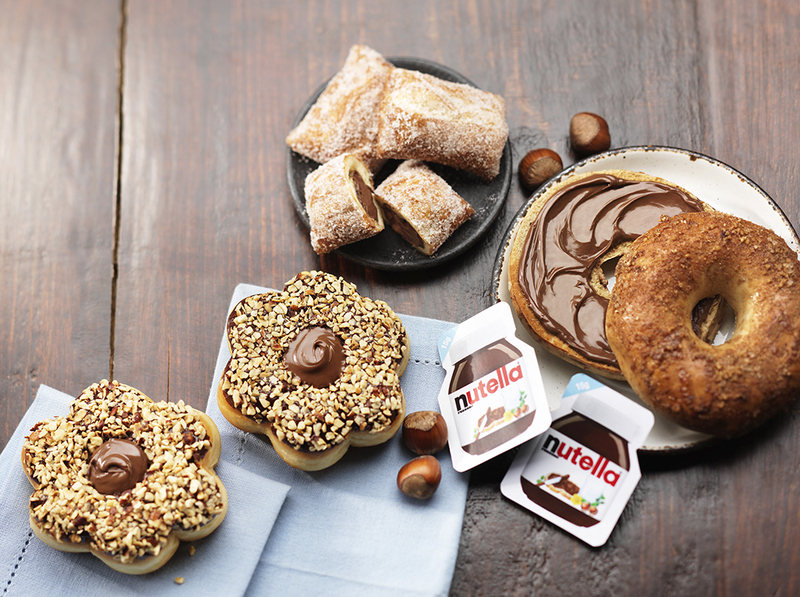 Will you head to Tim Hortons to try a Nutella doughnut?